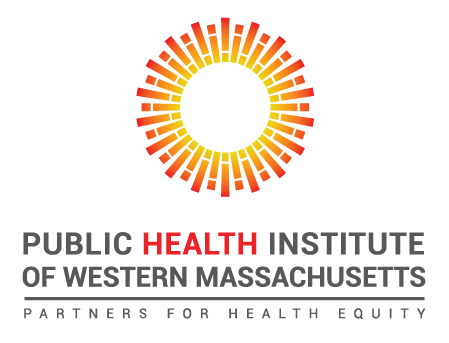 Public Health Institute of Western Massachusetts (PHIWM), the public health institute for Western Massachusetts, offers skills, expertise and experience to create successful campaigns and systems to improve health and well-being in the Pioneer Valley. Founded in 1996, PHIWM provides backbone infrastructure support to the region in a variety of areas including: Convening of multi-sector partnerships; Design and implementation of population-based health programs; and, Research and evaluation. Ensuring health equity and challenging institutional racism are core values integrated into all of PHIWM’s services. The Springfield Health Equity Report highlighted alarming racial and ethnic health disparities in our region and built an understanding of social determinants of health. Utilizing an environmental justice approach, PHIWM’s Climate Change Risk Analysis report provided key data for the City of Springfield’s successful National Disaster Resilience Award of $17 million from the US Department of Housing and Urban Development. As part of that award, PHIWM will be facilitating stakeholder engagement for the ongoing Climate Action and Resilience planning process for Springfield. Together with community partners and residents, PHIWM designs, tests and implements solutions and policies that result in more equitable access to resources that impact community health. For example, PHIWM convenes a multi-sector coalition, Live Well Springfield, dedicated to improving access to healthy eating and physical activity to address chronic diseases, to garner successful local policy and systems changes including: the creation of the Springfield Food Policy Council, a community gardening ordinance, a mobile farmer’s market, and a Complete Streets Ordinance. PHIWM builds measurably healthy communities with equitable opportunities and resources for all through civic leadership, collaborative partnerships, and policy advocacy.